Thanksgiving is the traditional start of the ski season, and like many other skiers we chose to observe Black Friday by sliding on snow rather than jockeying through crowds at the mall fighting for deals on stuff we don't need. It’s not even Thanksgiving yet and we’ve already got a second weekend of skiing in the books, thanks to early season cold weather that has allowed the snowmaking crews to get a jump on the season. Knowing that a warmup was in store for Sunday, we made sure to get out on Saturday to take advantage of the nice snow that’s been piling up under the guns. In a way, ski season caught me by surprise. Sure, my gear’s been tuned and ready to go for at least a month, but last week’s 60-degree weather had me thinking more about mountain biking than skiing. I mentally pegged Thanksgiving weekend for my season opener and never really adjusted my thinking until Friday’s announcement (thanks Gov!) that Gore and Whiteface would open for the season on Sunday, two weeks ahead of schedule. And just like that, ski season is here. If you’re a skier or snowboarder, the best time of year is almost here. With overnight temperatures dipping below freezing, ski areas around the region have begun firing up their snowmaking equipment to prepare for the start of the 2014-15 ski season. Crews have been busy with projects all summer and fall, here’s a look at what they’ve been up to. 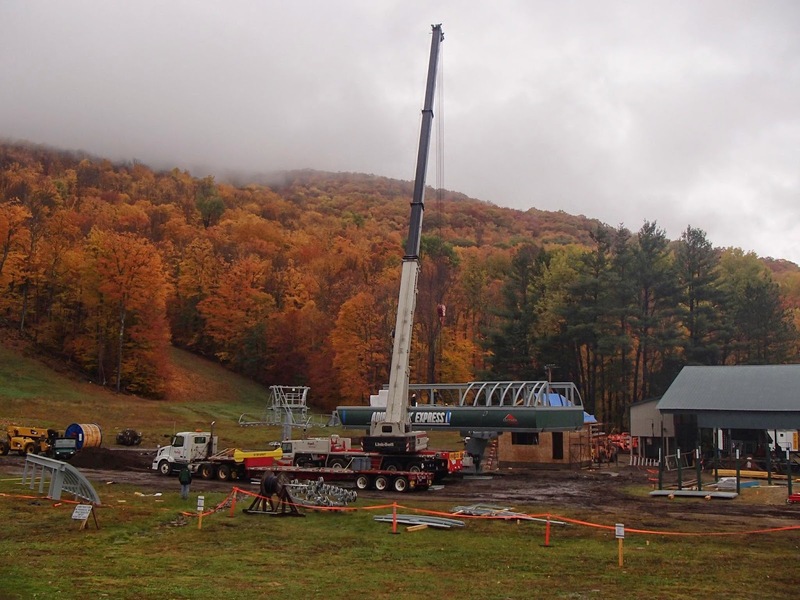 At Gore, the big news for this season is the replacement of the Adirondack Express triple chairlift with a new, state-of-the-art, high-speed quad. The Adirondack Express II will feature padded seats and eight fewer towers, providing skiers with a quicker, more comfortable ride than its predecessor. Just as importantly, the new AE2 will operate more reliably than the 30-year old lift it replaces. Mike Pratt, Gore’s general manager, explains: “The original Adirondack Express was the oldest high-speed lift in North America. 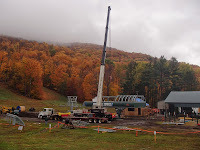 While it served Gore skiers and riders well for many years, the cost of maintenance finally reached a point where it made more sense to replace it.” Final steps are being completed in the AE2’s installation, and Gore expects the lift to debut shortly after the mountain opens for the season. The Adirondack Park Agency (APA) is soliciting comments regarding their plan to amend the Adirondack Park State Land Master Plan (SLMP), the document which governs management of the state-owned “forever wild” lands of the Adirondack Park. It’s the first time the SLMP has been amended in more than 25 years, and represents a critical opportunity for advocates of backcountry skiing.